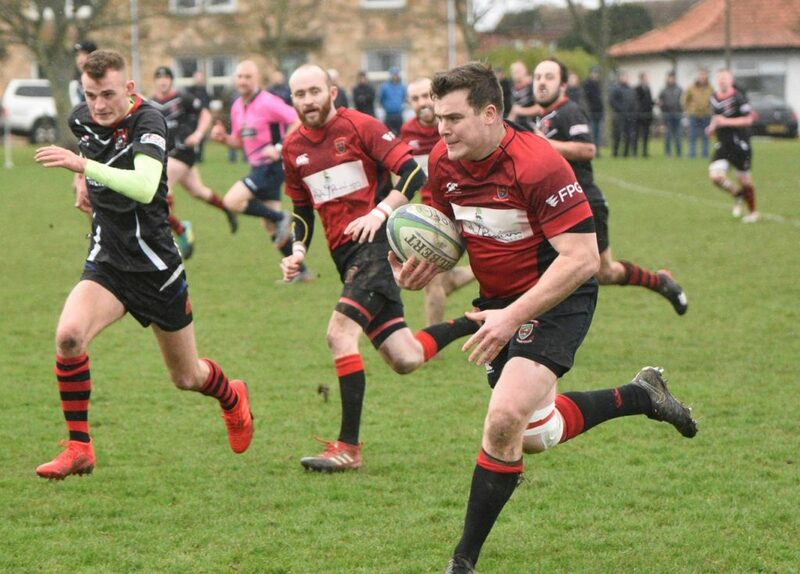 North Berwick are having a difficult season and have been unable to field fully eligible front rows on occasions this season. They have been docked points for this which explains their lowly league position coming into this fixture, however on Saturday they had a full strength side and were determined to make the visitors fight all the way. The Reds welcomed back Ross Martin to the squad, playing his first match of the season. It was overcast and the wind was cold as Linlithgow kicked off in front of a subdued crowd. The home side were first to create a chance when a penalty was sent wide of the posts. Linlithgow took time to settle in the game, giving away penalties that were a little baffling to the spectators. Part of the problem was a lack of signals from the referee. It was North Berwick who scored first with a try under the posts, the conversion going over. This seemed to galvanise Linlithgow who scored themselves pretty much from the restart. 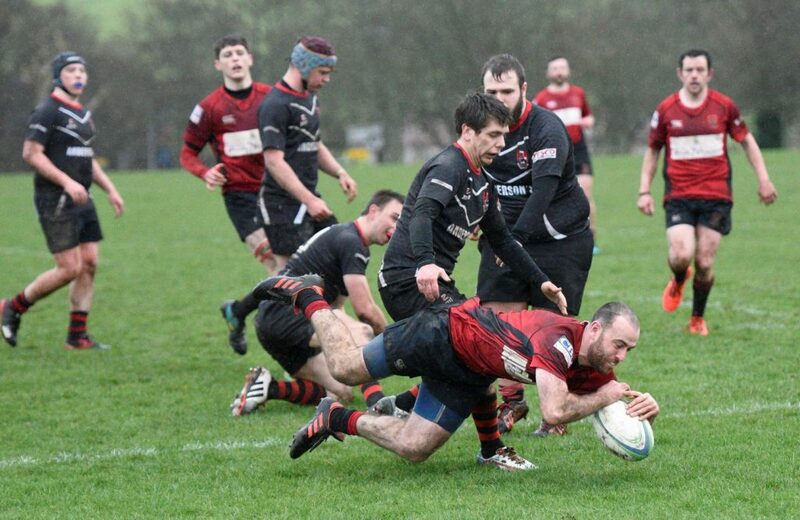 Linlithgow were held up on the line and from the resulting scrum, they pushed over for Mark Caddle to drop on the ball for a try, which Rab Cairns converted. Linlithgow soon increased their lead after good work from Ross Plenderleith with Cal Thomson scoring in the corner. The conversion fell short. Linlithgow were in full flow and should have scored when a penalty was taken quickly 15 yards out and North Berwick tackled instead of withdrawing the 10 metres. However, the referee pinged Linlithgow for holding. The inevitable was only delayed, as Cammy Murrie scored under the posts two plays later, his try being converted by Rab Cairns. Linlithgow lost concentration from the restart as the ball was knocked on, allowing the home side to score in the corner, the conversion falling short. Just before half time Linlithgow missed a penalty as the wind picked up and the rain started falling. Linlithgow picked up where they left off in the second half, with scrum-half Cammy Murrie scoring his second under the posts after good work by Stuart Cunningham. Rab Cairns again potted the conversion. Another try followed soon after, following a good spell of Linlithgow pressure as Mark Caddle touched down for his second try, with Rab Cairns converting again. 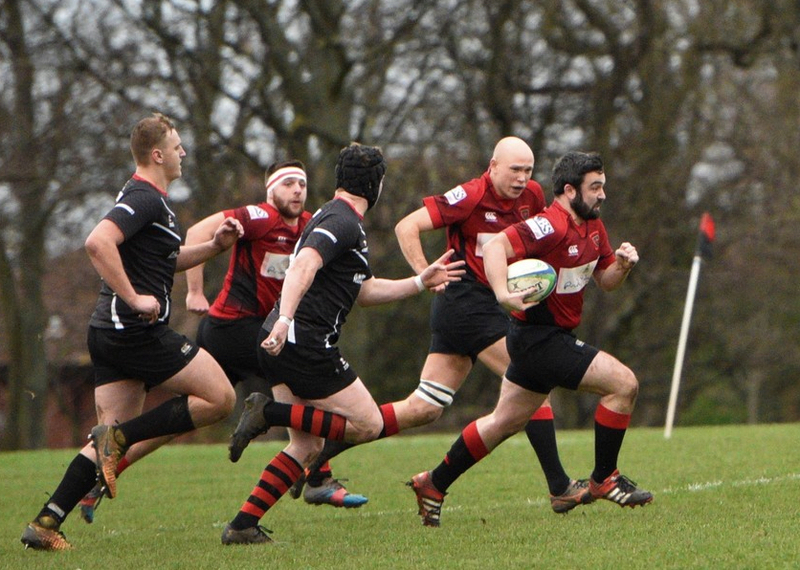 The Reds were dominant in the scrum and lineouts and it was against the run of play when North Berwick reduced the deficit with a converted try under the posts. However, Linlithgow came back and, while it took many phases and a lot of pressure, Cammy Murrie eventually scored wide out to claim his hat-trick. The tricky conversion was missed. Right at the end of the match, Stuart Cunningham added a seventh try for the Reds, which also went unconverted. A good win, although one that most fans hoped for, but the performance of the scrum was pleasing to watch, and it was a great game overall despite the conditions. This win has moved Linlithgow up to 30 points in the league, only 5 points off fifth place. The next few games should be interesting as they are all against opposition in league places immediately above the Reds. John Chapman; Ross Plenderleith, Ross Tulloch, Rab Cairns, Lewis Herdman; Chris Ronalson, Cammy Murrie; Colin Devlin, Stuart Cunningham, Ally McLean; Neil Lochhart, Kieran Cochrane; Euan Mochrie (captain), Cal Thomson and Mark Caddle. Subs: Calum McKeown, Fraser Mochrie, Cammy Walker, Ross Martin.